My first morning in Boston I woke up and went directly to Flour for a sticky bun. 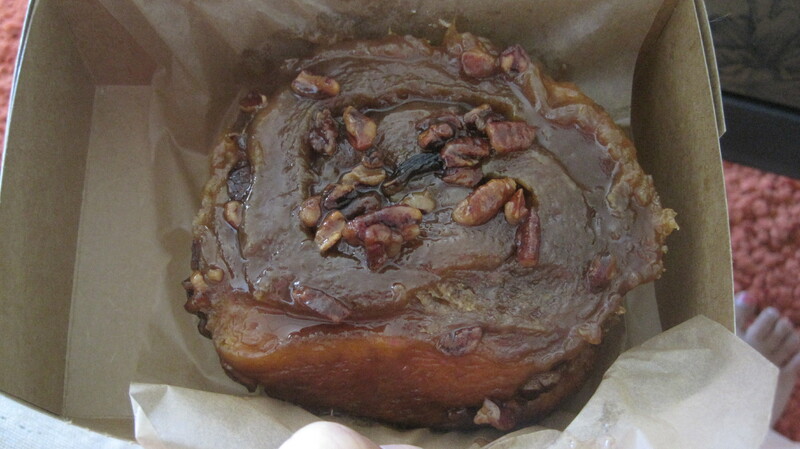 I have mentioned here many times at the sticky buns at Flour are the food of the gods. If it was my last meal I would want a sticky bun and an ice tea from Flour. 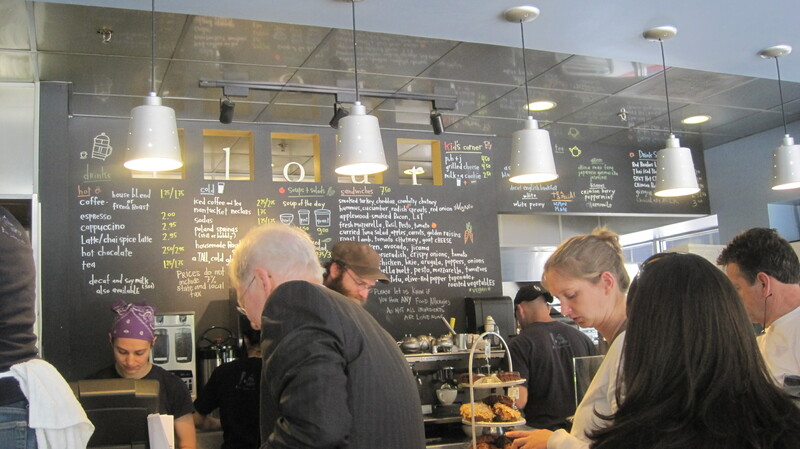 Luckily Brea lives in the South End, very close to Flour. 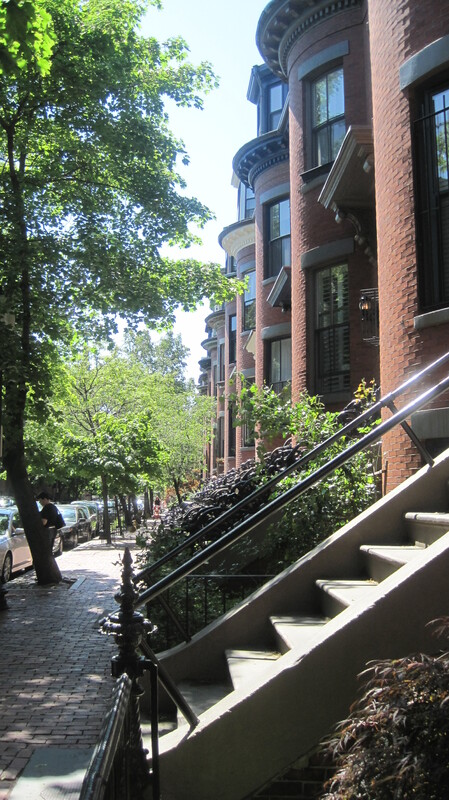 But first… observe the beauty of the South End brown stones. I really want one. 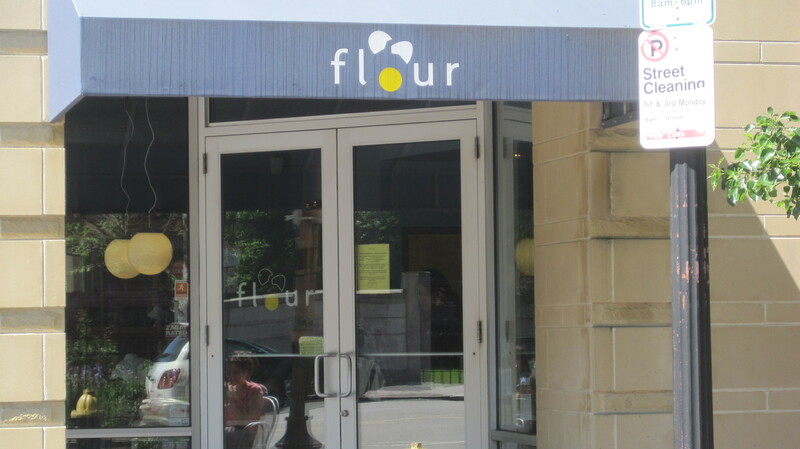 I love Flour, but it can be a bit hard getting a table. Probably because the food is so amazing. We took the bounty back to Brea’s where we ate it while watching Gossip Girl. Tell me that doesn’t look delicious! I dare you! I will be picking several up before I leave town. 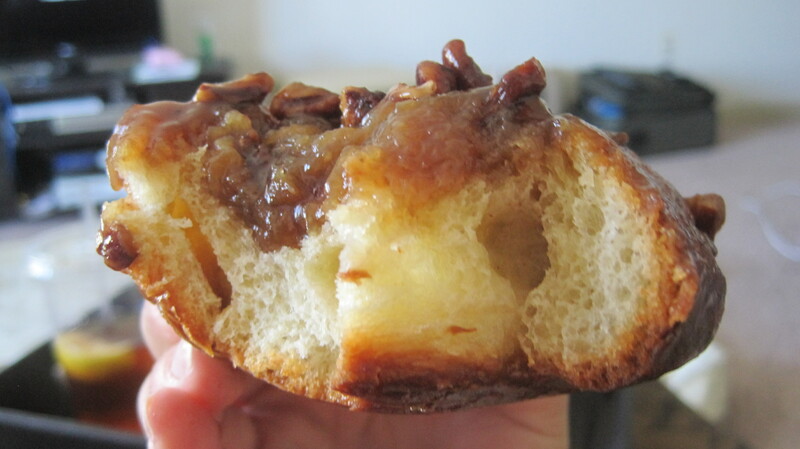 The bun is soft, the nuts are yummy and the caramel on top melts in your mouth. There is NO better way to start the day!